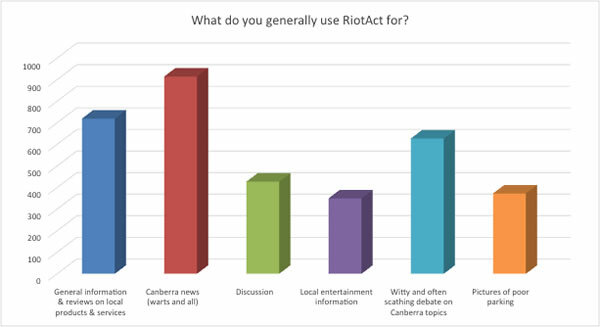 Thank you to all of you who completed the RiotACT User Survey. With nearly 1000 responses and some great comments and suggestions, there are now some great leads for discussion. The other area for focus is content. Over the next few weeks you will see articles from new writers and contributors. We hope you enjoy them. We will be in contact with further updates. I’ve just noticed that in the ‘Recent Comments’ section, the preview no longer includes quoted text, so all you see is the actual reply that’s been added. Nice work guys, it’s a really good change. Hopefully more useful changes like this are in the wings. Knowing who these businesses who are backing the site is most important. How do we know any topics critical of these businesses are getting through moderation? Further, any posts by any RA owners and employees (including unpaid volunteers), or posts relating to any business connected with the owners (or in competition with the owners) should be clearly disclosed. It is the sort of transparency we expect from the more traditional media, so I don’t see why this site should be any different. Why is it so important to know? So what if the owner/moderator also owns Acme Pizza? Should he allow anybody to post anything ,true or untrue, about Acme Pizza? Would you? And what right do we have to demand that they do? Given the predominately negative, troll-infested nature of anonymous blogs, I would be keeping my other business interests separate from this one. Whaaaaaa? No more hating on cyclists? They are such easy game! 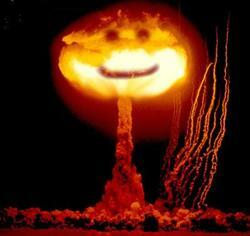 So, when will the cabal of new owners reveal themselves? I don’t care about their life story, more if they understand there’s more to journalism in this city than just running press releases and taking notes at stand-ups. It was announced that the site was purchased by some businessmen. There are very few journalists who have ended up successful businessmen and there are fewer businessmen who have invested successfully businesses that employ journalists. Rupert Murdoch was one who did. At least they are not representing themselves as enthusiasts. Thanks for the (interim) update Canfan. Yes, have responded to the survey already and appreciate you taking the pulse in this way. I guess just to reiterate that your identities will be a valid issue of interest if you are looking to retain the longtime readership. Cheers. 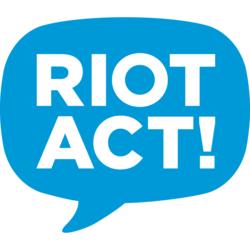 If “Canberra news (warts and all)” and “Witty and often scathing debate on Canberra topics” survive and flourish, I won’t be too much concerned about who owns and runs the RiotAct, but whatever the outcome in that regard, there are good reasons why the new owners and operators should identify themselves in the very near future. Should we expect to see the term “All” in the names of the new owners…? There seems to be a theme developing here, so I’ll wade in. The site has been bought by a small group of local business owners and residents who wanted to ensure ownership of the site remained in Canberra. Their main priority at the moment is to develop a clear strategy/vision before making any public announcements. 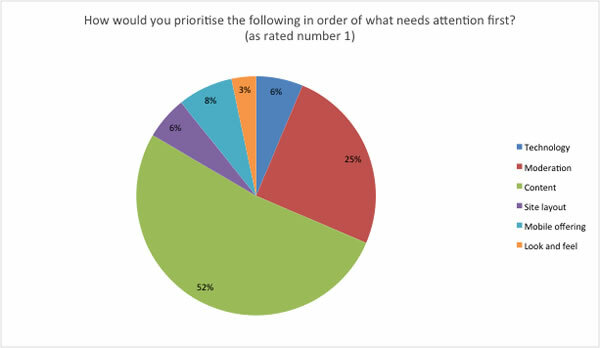 We understand everyone wants to know the agenda, but are seeking user input first in the form of focus groups. There was an opportunity to sign up for these in the survey, but if you haven’t and would like to join let us know. Can we ask who you guys actually are? We don’t know who you are, what agendas you may have, what links to local business or other media sites etc. Not asking for your life story or school photos, but if you want new RA to have some character and integrity, then good to give us all a sense of where you are coming from and why you’ve bought into this patch. Thanks! So when are we going to be introduced to the new kids on the block? Congratulations on picking up the ball and keeping the site going. While I rarely post I do check in daily for my regular Canberra fix. It’s interesting to see what is happening in my birthplace and how it is growing. 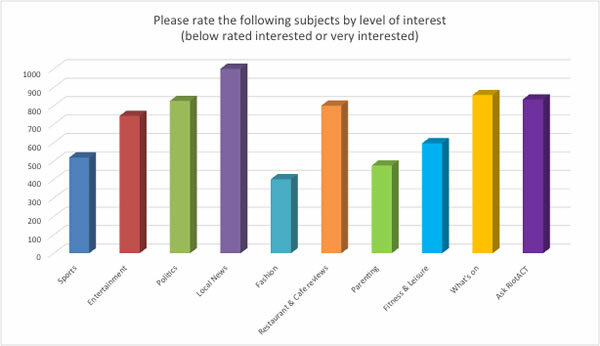 The survey results are quite interesting but fairly predictable except for sports which I thought might be more popular than indicated. Not going to tell us who the new owners are? Why not? Thanks for publishing the results. Look forward to seeing the changes!